→ Fantastic Four (1°) #4 (05/62) The Coming Of ... Sub-Mariner! → Fantastic Four (1°) #6 (09/62) Captives Of The Deadly Duo! → Fantastic Four (1°) #8 (11/62) Prisoners Of The Puppet Master! → Fantastic Four (1°) #9 (1) (12/62) The End Of The Fantastic Four! → Fantastic Four (1°) #10 (01/63) The Return Of Doctor Doom! 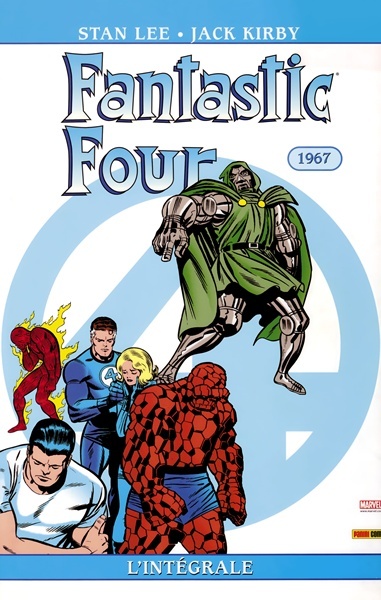 → Fantastic Four (1°) #16 (1) (07/63) The Micro-World Of Doctor Doom! → Fantastic Four (1°) #21 (12/63) The Hate Monger! → Fantastic Four (1°) #23 (02/64) The Master Plan Of Doctor Doom! → Fantastic Four (1°) #24 (03/64) The Infant Terrible! → Fantastic Four (1°) #27 (06/64) The Search For Sub-Mariner! → Fantastic Four (1°) #28 (07/64) We Have To Fight The X-Men! 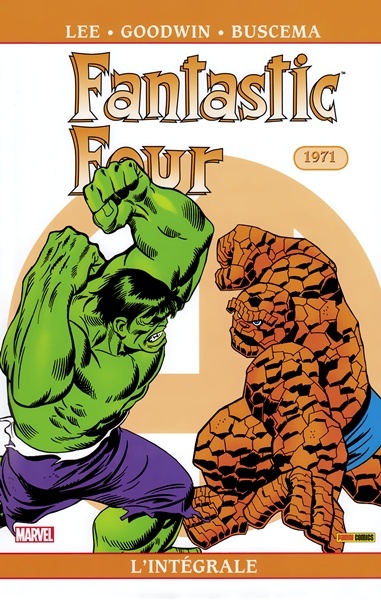 → Fantastic Four (1°) #29 (08/64) It Started On Yancy Street! → Fantastic Four (1°) #30 (09/64) The Dreaded Diablo! → Fantastic Four (1°) #31 (10/64) The Mad Menace Of The Macabre Mole Man! → Fantastic Four (1°) #32 (11/64) Death Of A Hero! → Fantastic Four (1°) #33 (1) (12/64) Side-By-Side With Sub-Mariner! 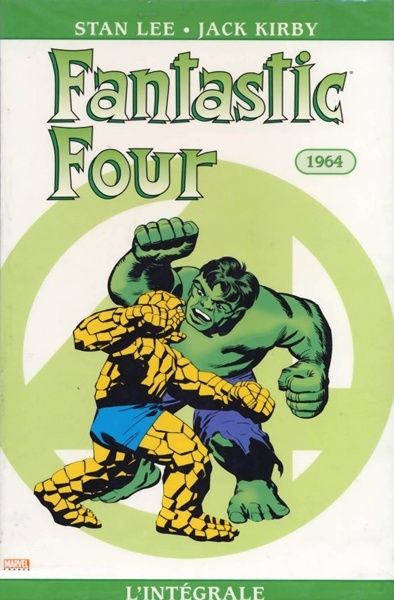 → Fantastic Four (1°) #34 (1) (01/65) A House Divided! → Fantastic Four (1°) #35 (02/65) Calamity On The Campus! → Fantastic Four (1°) #36 (03/65) The Frightful Four! → Fantastic Four (1°) #37 (04/65) Behold! A Distant Star! → Fantastic Four (1°) #38 (05/65) Defeated By The Frightful Four! → Fantastic Four (1°) #39 (06/65) A Blind Man Shall Lead Them! → Fantastic Four (1°) #41 (08/65) The Brutal Betrayal Of Ben Grimm! 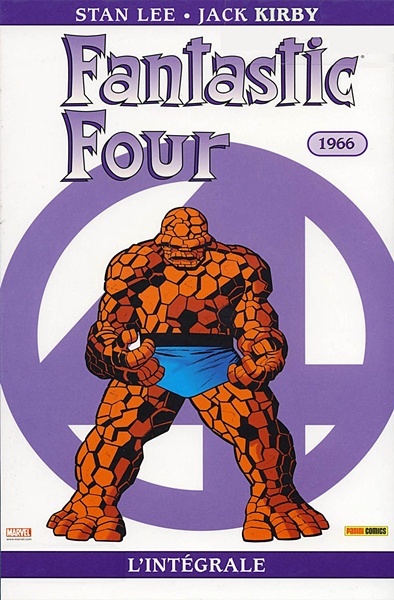 → Fantastic Four (1°) #43 (10/65) Lo! There Shall Be An Ending! → Fantastic Four (1°) #44 (11/65) The Gentleman's Name Is Gorgon! 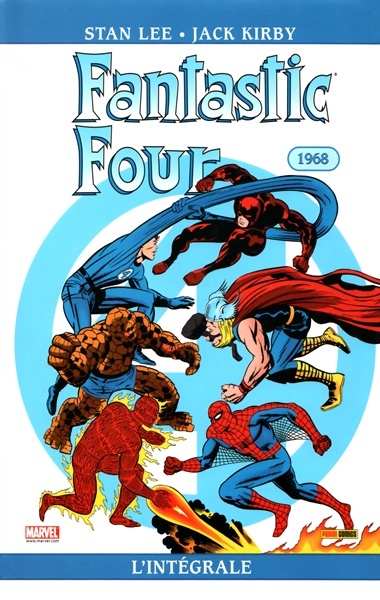 → Fantastic Four (1°) Annual #1 (5) (1963) The Fabulous Fantastic Four Meet Spider-Man! → Fantastic Four (1°) Annual #3 (1) (1965) Bedlam At The Baxter Building! → Fantastic Four (1°) #46 (01/66) Those Who Would Destroy Us! → Fantastic Four (1°) #47 (02/66) Beware The Hidden Land! → Fantastic Four (1°) #49 (04/66) If This Be Doomsday! 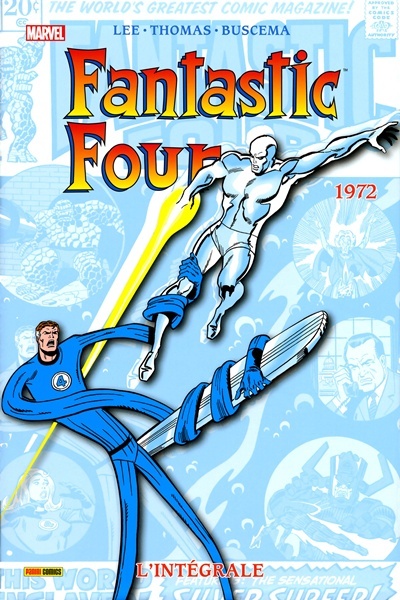 → Fantastic Four (1°) #50 (05/66) The Startling Saga Of The Silver Surfer! → Fantastic Four (1°) #51 (06/66) This Man... This Monster! → Fantastic Four (1°) #52 (07/66) The Black Panther! 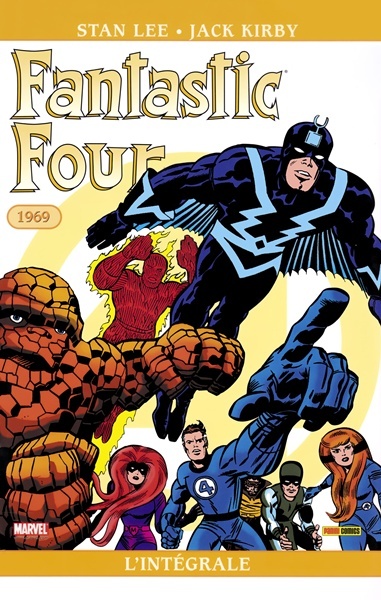 → Fantastic Four (1°) #53 (08/66) The Way It Began! → Fantastic Four (1°) #54 (09/66) Whosoever Finds The Evil Eye! → Fantastic Four (1°) #56 (11/66) Klaw, The Muderous Master Of Sound! → Fantastic Four (1°) #57 (12/66) Enter... Dr. Doom! 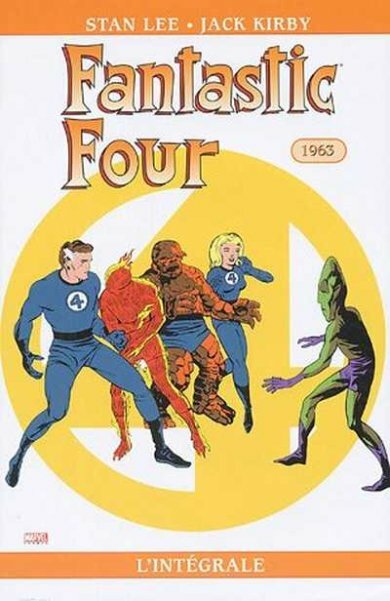 → Fantastic Four (1°) #58 (01/67) The Dismal Dregs Of Defeat! → Fantastic Four (1°) #60 (03/67) The Peril And The Power! → Fantastic Four (1°) #61 (04/67) Where Stalks The Sandman ? → Fantastic Four (1°) #62 (05/67) ...And One Shall Save Him! → Fantastic Four (1°) #63 (06/67) Blastaar The Living Bomb-Burst! → Fantastic Four (1°) #64 (07/67) The Sentry Sinister! → Fantastic Four (1°) #65 (08/67) ... From Beyond This Planet Earth! → Fantastic Four (1°) #66 (09/67) What Lurks Behind The Beehive ? → Fantastic Four (1°) #67 (10/67) When Opens The Coccoon! → Fantastic Four (1°) #68 (11/67) His Mission : Destroy The Fantastic Four! → Fantastic Four (1°) #69 (12/67) By Ben Betrayed! → Fantastic Four (1°) #72 (03/68) Where Soars The Silver Surfer! 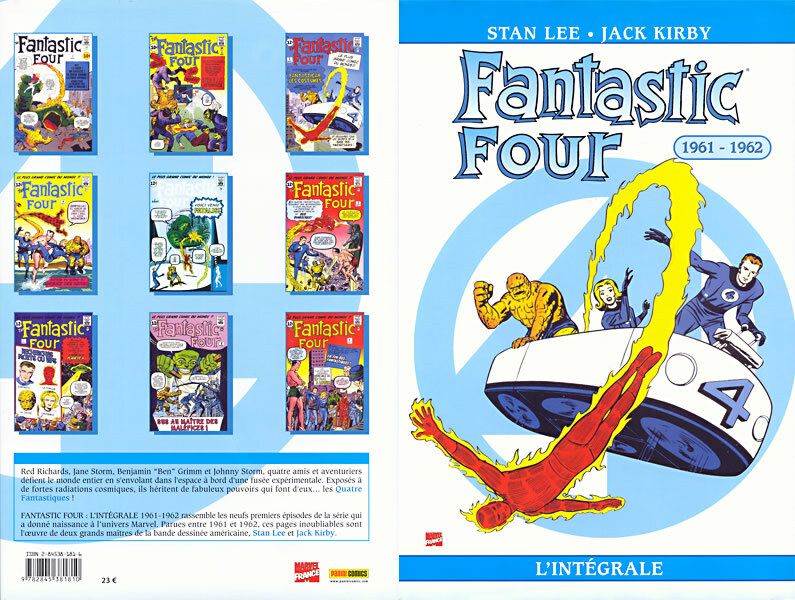 → Fantastic Four (1°) #75 (06/68) Worlds Within Worlds! → Fantastic Four (1°) #76 (07/68) Stranded In Sub-Atomica! → Fantastic Four (1°) #77 (08/68) Shall Earth Endure ? 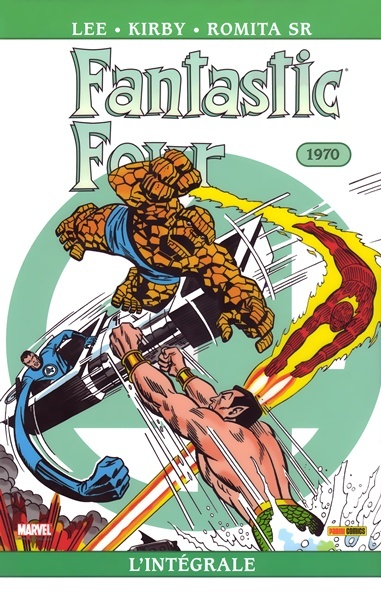 → Fantastic Four (1°) #78 (09/68) The Thing No More! → Fantastic Four (1°) #79 (10/68) A Monster Forever ? → Fantastic Four (1°) #80 (11/68) Where Treads The Living Totem! → Fantastic Four (1°) #81 (12/68) Enter... The Exquisite Elemental! → Fantastic Four (1°) #82 (01/69) The Mark Of... The Madman! → Fantastic Four (1°) #83 (02/69) Shall Man Survive ? → Fantastic Four (1°) #84 (03/69) The Name Is Doom! → Fantastic Four (1°) #86 (05/69) Victims! → Fantastic Four (1°) #87 (06/69) The Power And The Pride! 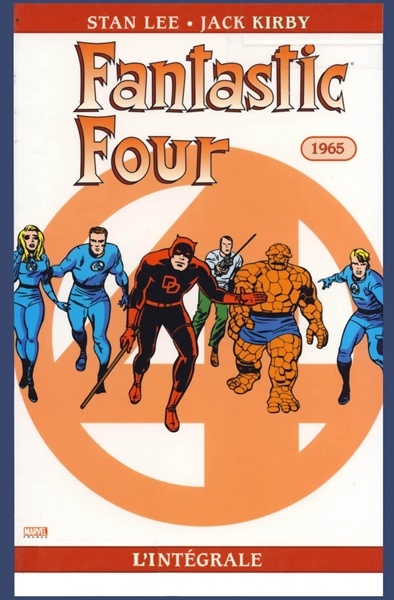 → Fantastic Four (1°) #88 (07/69) A House There Was! → Fantastic Four (1°) #89 (08/69) The Madness Of The Mole Man! → Fantastic Four (1°) #90 (09/69) The Skrull Takes A Slave! → Fantastic Four (1°) #91 (10/69) The Thing... Enslaved! → Fantastic Four (1°) #92 (11/69) Ben Grimm, Killer! → Fantastic Four (1°) #93 (12/69) At The Mercy Of Torgo! → Fantastic Four (1°) #94 (01/70) The Return Of The Frightful Four! → Fantastic Four (1°) #95 (02/70) Tomorrow... World War Three! → Fantastic Four (1°) #96 (03/70) The Mad Thinker And His Androids Of Death! → Fantastic Four (1°) #97 (04/70) The Monster From The Lost Lagoon! → Fantastic Four (1°) #98 (05/70) Mystery On The Moon! → Fantastic Four (1°) #99 (06/70) The Torch Goes Wild! → Fantastic Four (1°) #100 (07/70) The Long Journey Home! → Fantastic Four (1°) #101 (08/70) Bedlam In The Baxter Building! → Fantastic Four (1°) #103 (10/70) At War With Atlantis! → Fantastic Four (1°) #104 (11/70) Our World... Enslaved! → Fantastic Four (1°) #105 (12/70) The Monster In The Streets! → Fantastic Four (1°) #106 (01/71) The Monster's Secret! → Fantastic Four (1°) #107 (02/71) And Now... The Thing! → Fantastic Four (1°) #108 (03/71) The Monstruous Mystery Of The Nega-Man! → Fantastic Four (1°) #109 (04/71) Death In The Negative Zone! 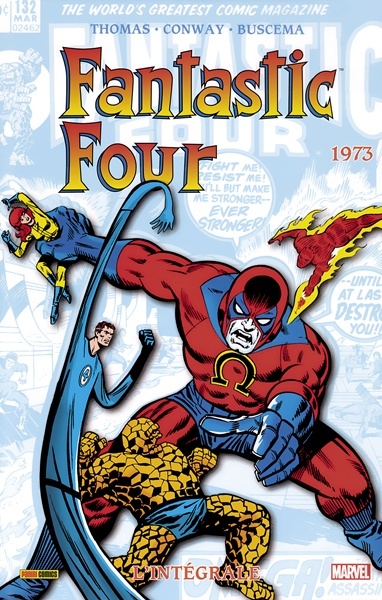 → Fantastic Four (1°) #110 (05/71) One From Four Leaves Three! → Fantastic Four (1°) #114 (09/71) But Who Shall Stop The Over-Mind ? → Fantastic Four (1°) #118 (01/72) Thunder In The Ruins,What Mad World ? → Fantastic Four (1°) Giant-Size #1 (1) (05/74) Giant-Size Super Stars #1 : The Mind Of The Monster! → Fantastic Four (1°) Giant-Size #2 (1) (08/74) Cataclysm!